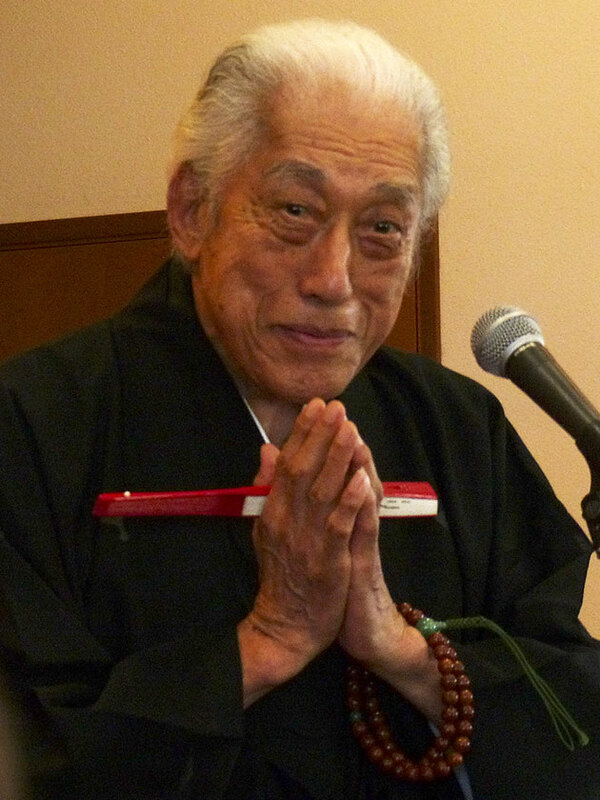 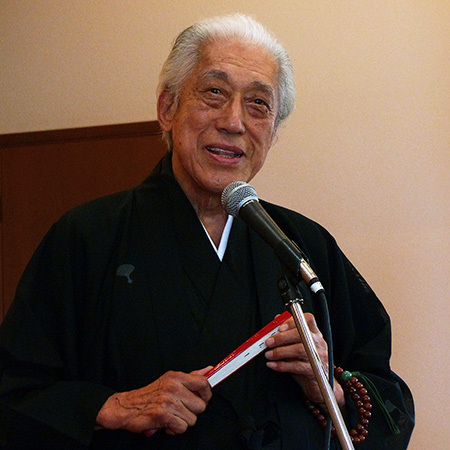 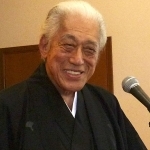 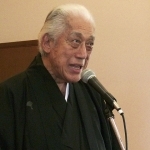 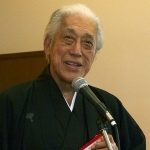 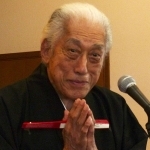 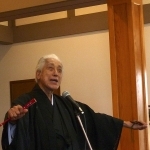 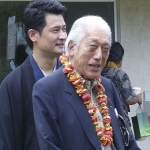 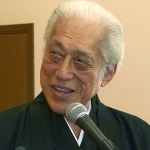 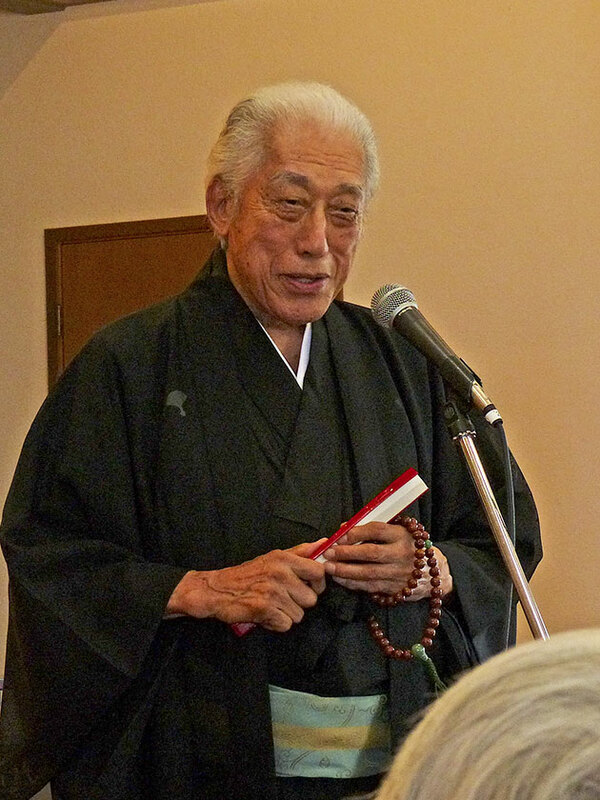 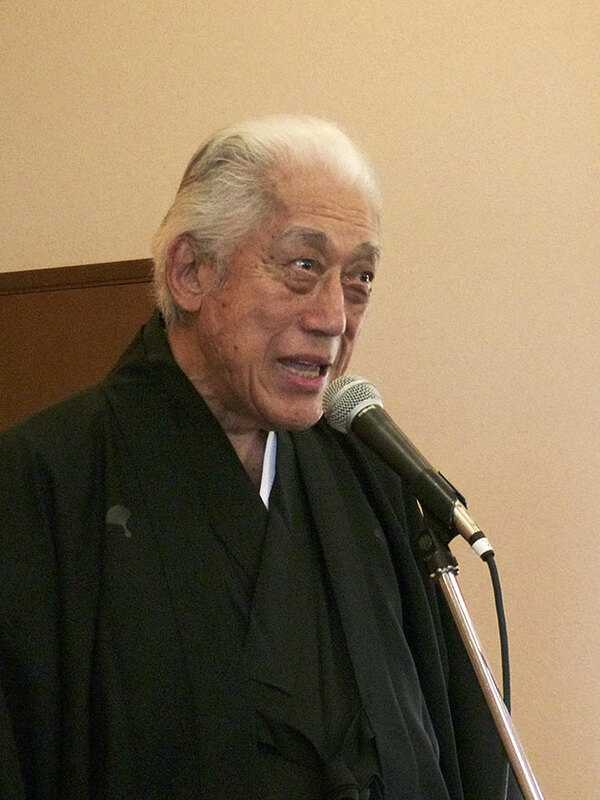 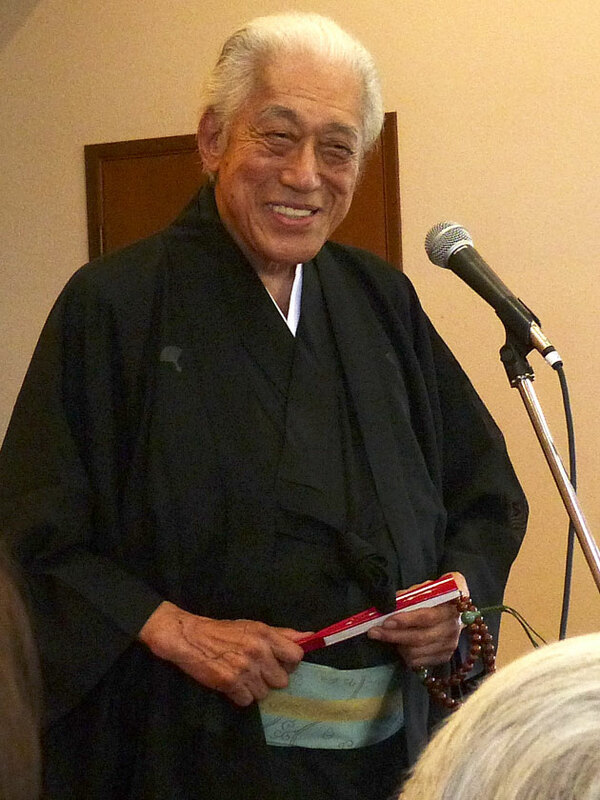 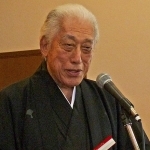 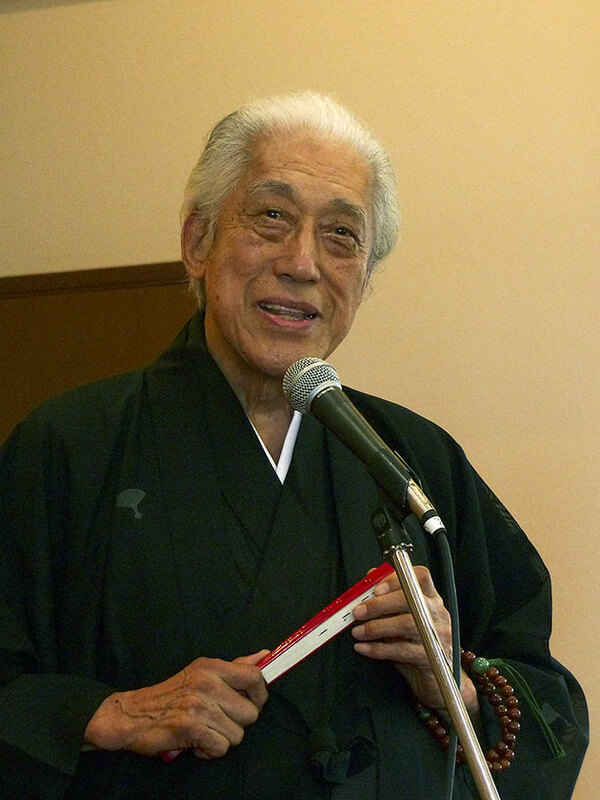 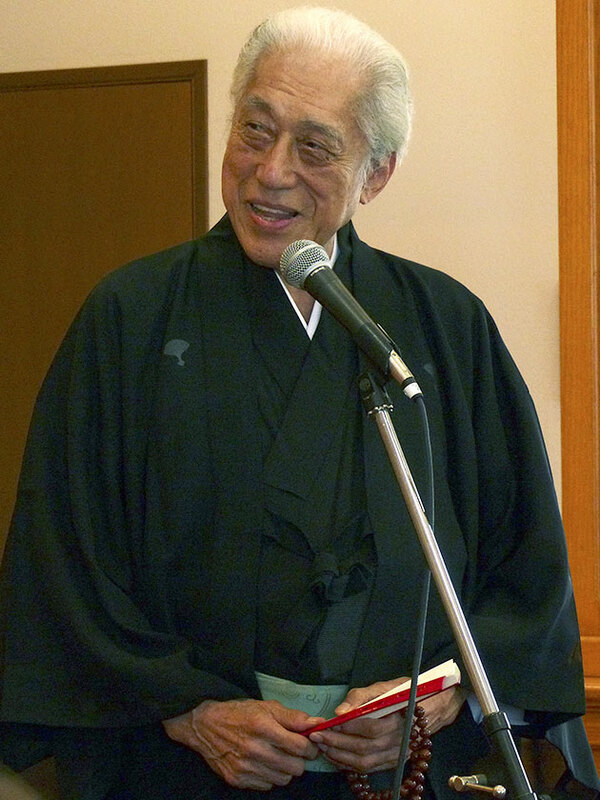 Born in Kyoto in 1923, Genshitsu Sen became the 15th Urasenke Grand Master in 1964. 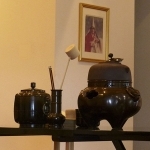 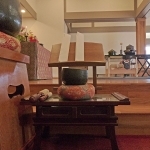 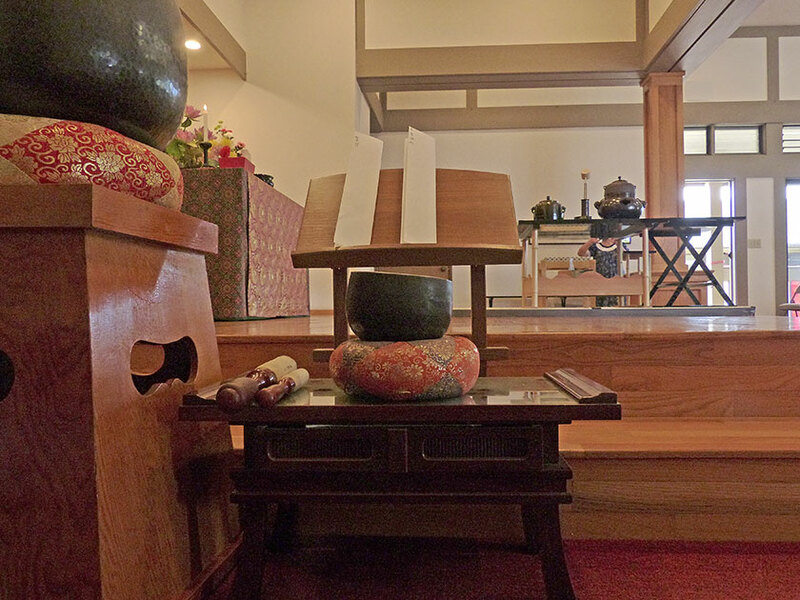 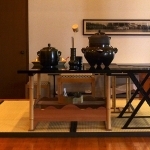 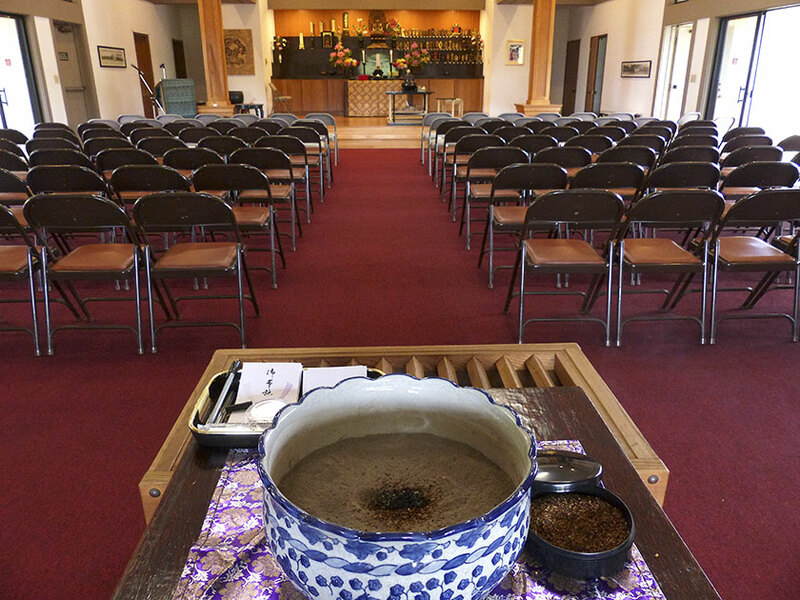 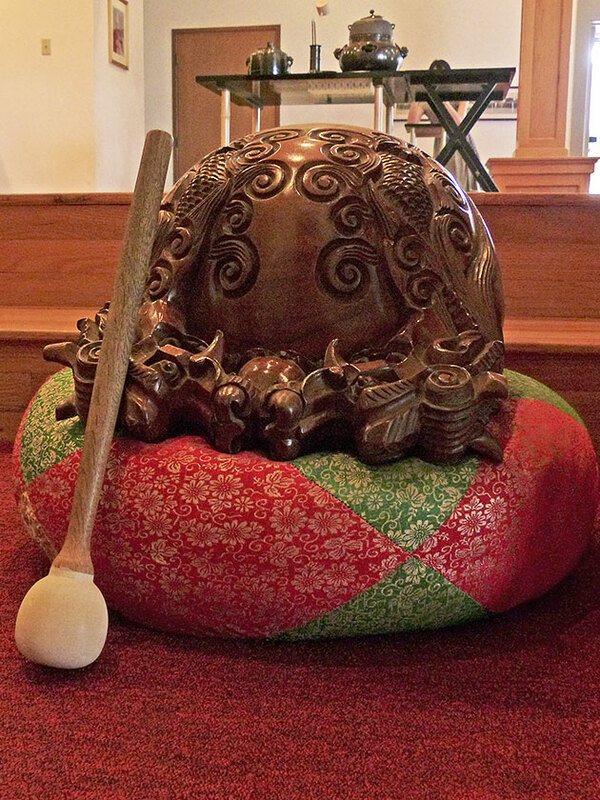 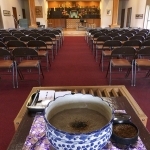 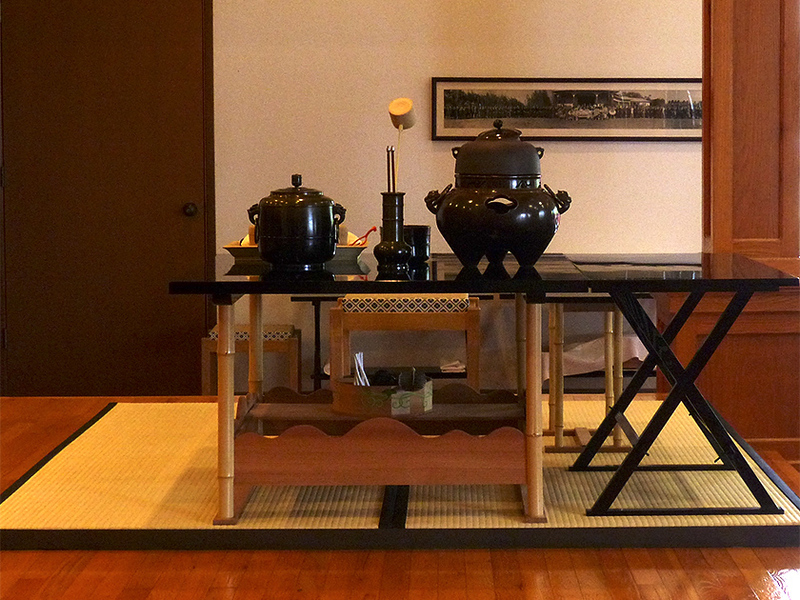 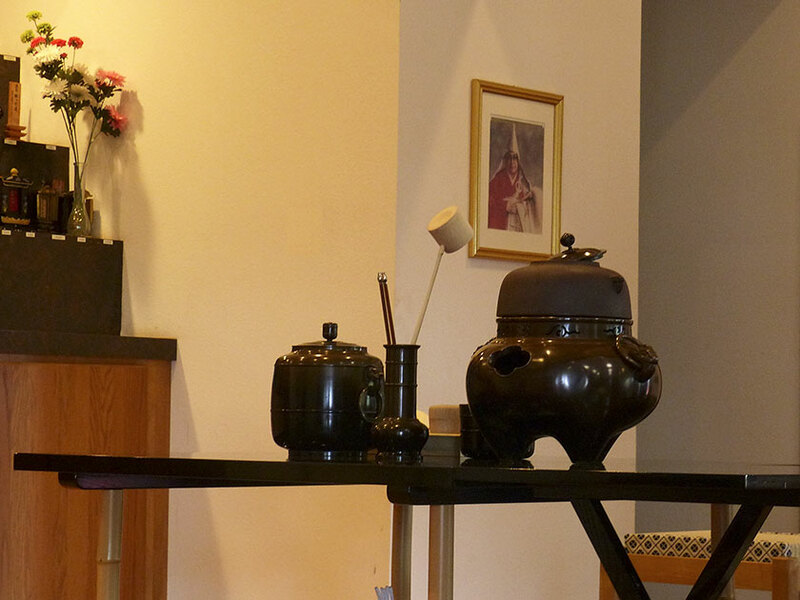 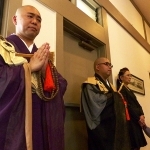 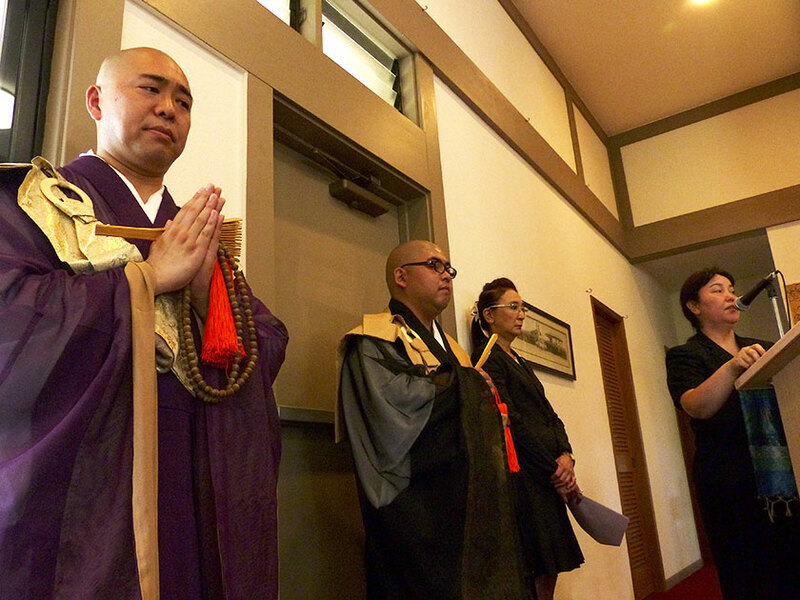 Urasenke is one of the leading tea ceremony schools in Japan. 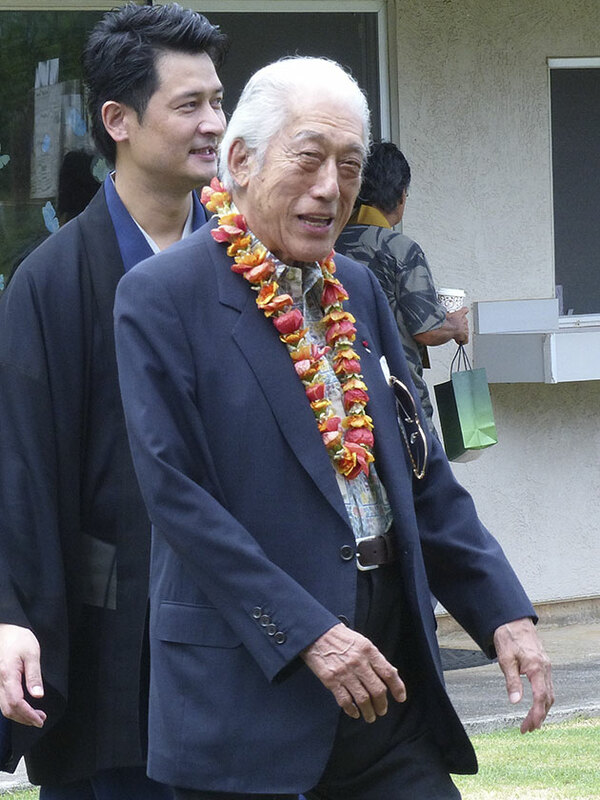 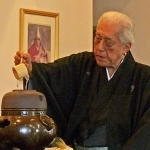 The Grand Master inherited the name of Soshitsu, which he passed on to his eldest son in 2002. 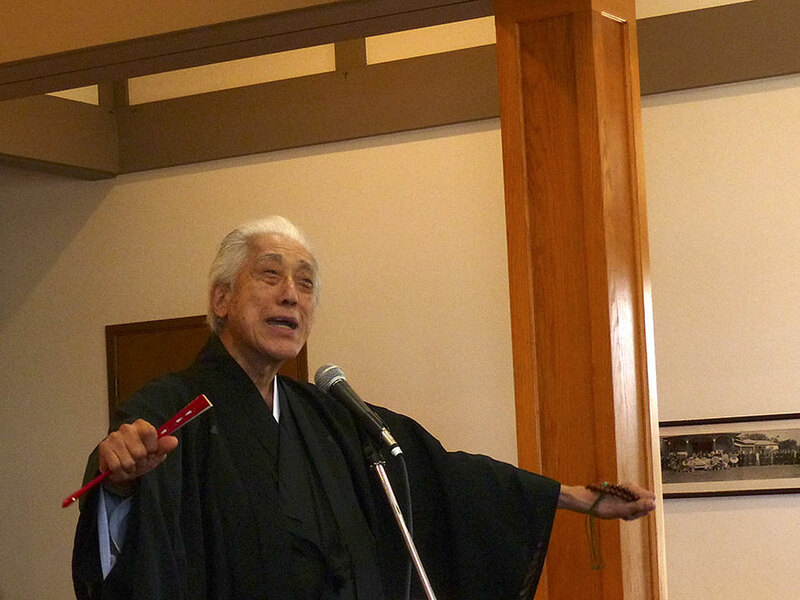 He then took his present name with the title of Daisosho, signifying his status as the former Grand Master. 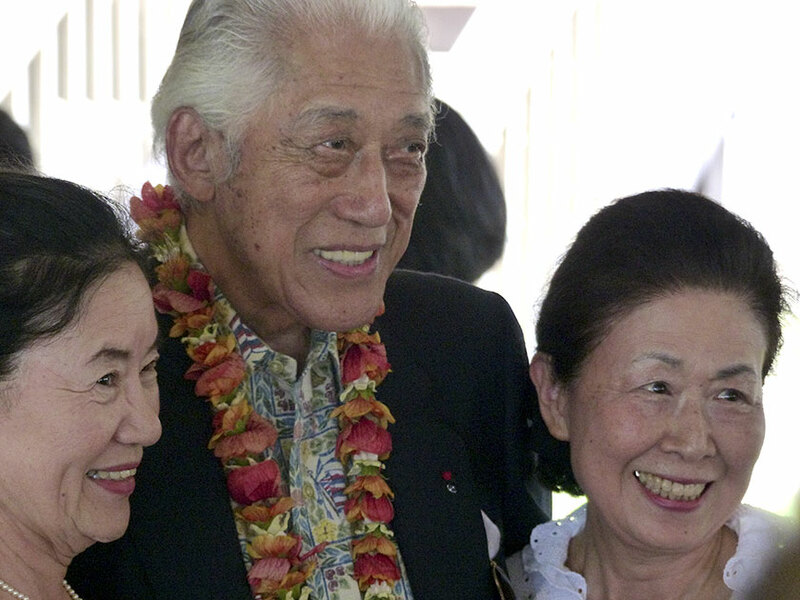 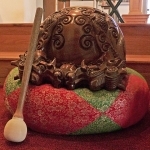 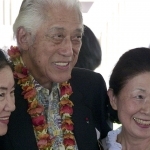 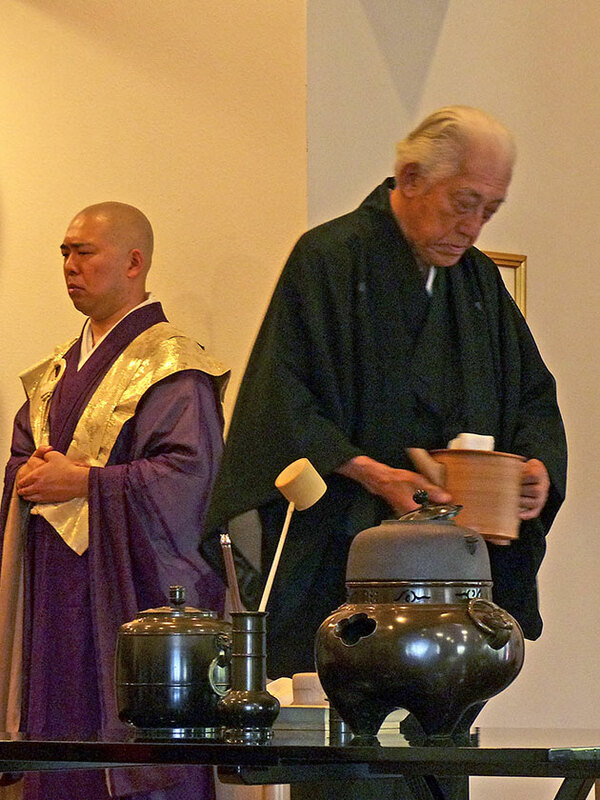 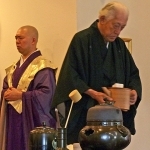 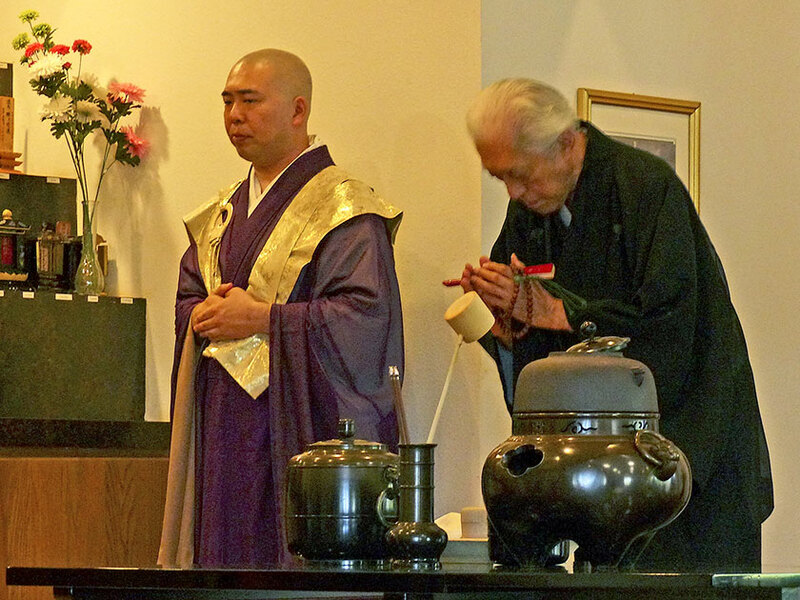 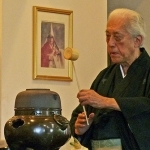 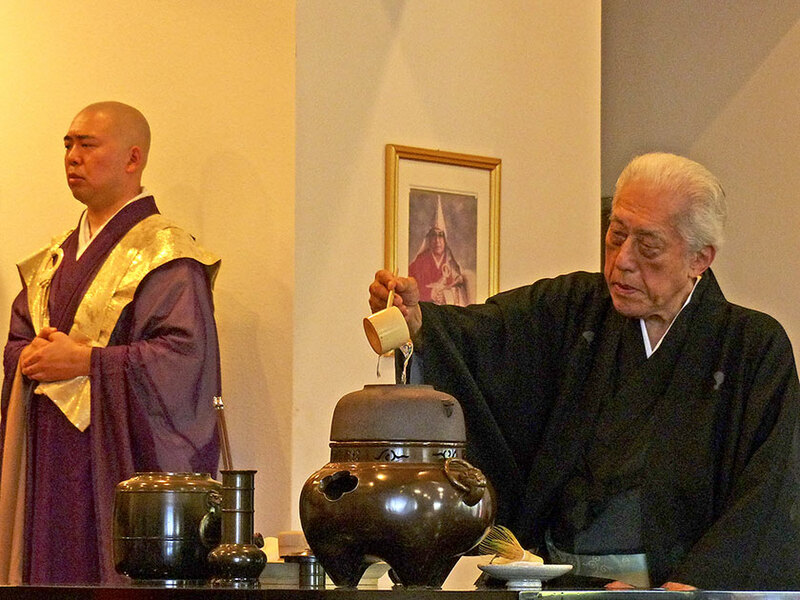 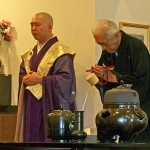 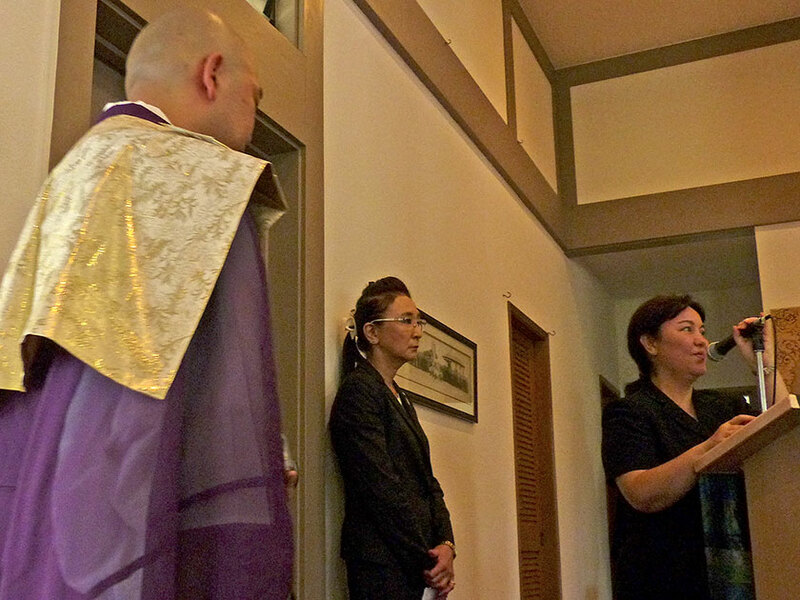 To promote peace, he has traveled the world lecturing and conducting tea-offering services. 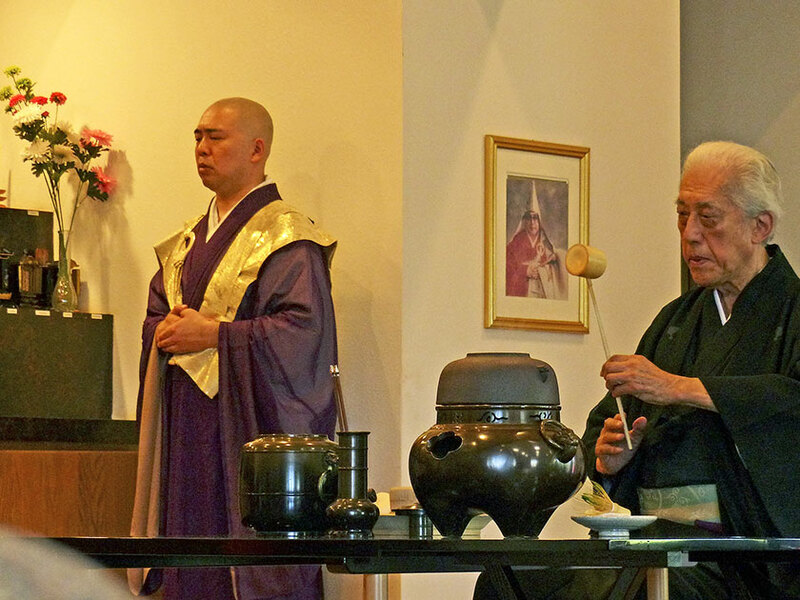 He also conducted tea ceremonies and peace prayers at the United Nations Headquarters in New York on the occasion of the UN Millennium Assembly in 2000 and again at the UN General Assembly in 2010.